My Financial Center offers West Georgia residents a wide variety of financial services under one roof. Need to roll over a pension or 401k plan, open an IRA or get retirement planning advice? Contact the skilled investment representatives at MY Financial Services. If you have insurance needs, whether it’s Life, Health, or Medicare, our professionals at MY Insurance Services can help ensure you are protected. Trying to wade through the Affordable Health Care Act (Obamacare)? Let us assist you in qualifying for or obtaining subsidies. 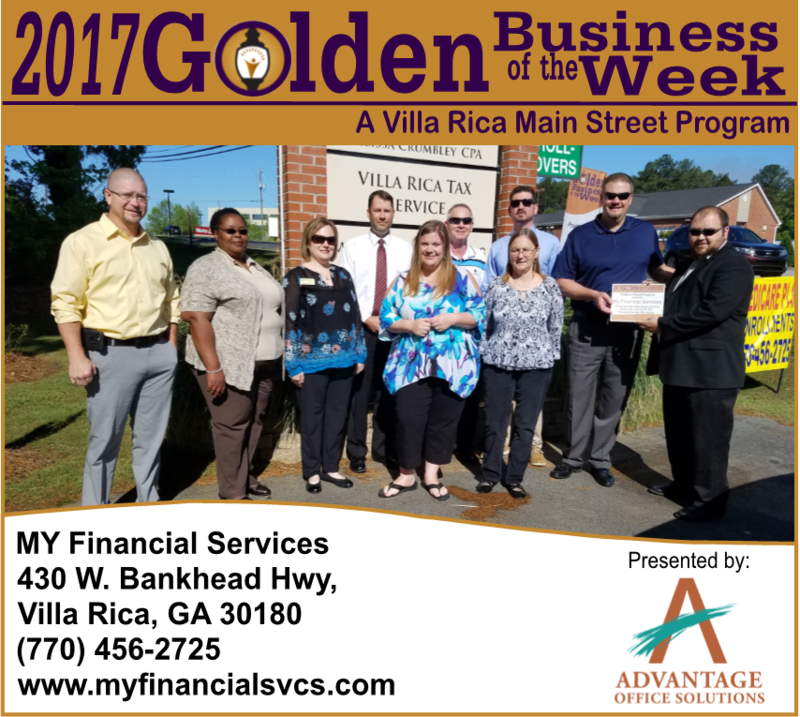 If you need Tax Preparation, Estate Planning, or Accounting Services, the experienced team at Villa Rica Tax Service is ready to help. Want a competitive quote on your home and auto coverage? Regardless of whether it’s time to renew or not, Dean Insurance can provide you with rates today and possibly put some money back in your pocket!